IndianStocksNews.com: Should You Buy Gold @ Current Gold prices? Should You Buy Gold @ Current Gold prices? We will try to analyze if gold investment looks viable in current investment scenario. IF you take a look at gold prices in the past few months, they have been moving in upward direction. From Rs 10, 650 for 10 grams last January 2008, the gold price has moved to Rs 15,490 today. It is at a seven month high and is up by 10% since January this year. 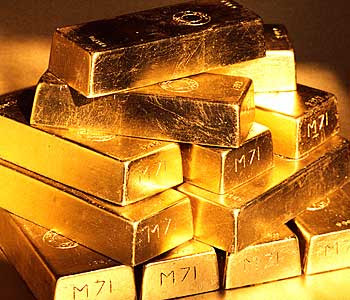 The World Gold Council reports that global demand was up by 4 per cent in 2008. The volatility and instability in the stock market has boosted investor’s sentiments to move towards gold as an investment. Gold has been viewed to give steady and assured returns and hence investors move from choppy market to save haven like gold. Analysts say that people are rather bullish on gold, due to which gold prices have been rallying for a while now where Sensex is down 45% during same time. In simple words, when rupee depreciates, gold price increases. The international price of gold depends on the strength of dollar. The monetary policies issued by the Reserve Bank of India influences the investors actions, which in turn affects the investors decision to invest in gold or any other asset class. There are reports of several governments like the Chinese, Russian who are diversifying their reserves into gold which is giving additional momentum to gold demand that is apart from the investment demands through gold exchange traded funds or gold ETF. So, should you buy Gold now or hold on? At this level, it would be wise to sell as you can clock in decent profit. Buying at this level is going to be an expensive deal, says Naveen Mathur, Head of Commodities, Angel Commodities. The past few days have seen very volatile sessions in gold prices internationally and Indian markets because of the rupee depreciation. The prices may shoot up a bit more before going through price correction. Checkout the statement made for traders. Buying at this level is going to be an expensive deal, says Naveen Mathur, Head of Commodities, Angel Commodities. Gold has moved very sharply in past few months in commodity markets. I strongly believe price correction in gold prices would happen soon. Do not get caught at these price levels. Gold is quoting very hoigh right now. Ideally, an investor should have 15-20 per cent allocation in gold. If you have more than 20 per cent you can consider selling and if you think you allocation is not enough, it’s time to buy and balance your portfolio. Gold is an commodity and although it is performing exceedingly well, it doesn’t mean you should buy gold out of your entire investment allocation. 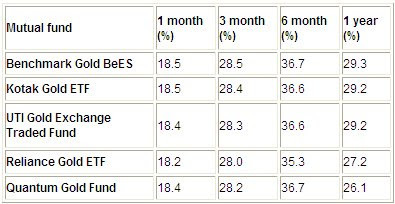 Apart from physical gold, best way to invest in gold could be via gold ETF. These are function like a mutual fund scheme for gold investment and is held in paper or dematerialized form, like stocks. Here you have advantages like you will not be paying any charges that normally jeweler charges. The brokerage that you would be paying will be definitely lesser in demat paper gold format.